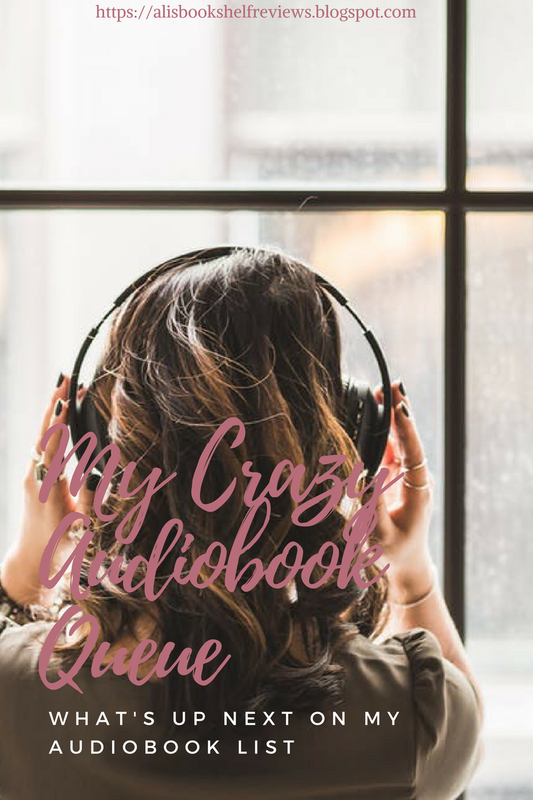 Today if you didn't figure it out by the title of this post we are going to be talking about my Audio book queue. Yep my queue is starting to become rather large, due to my subscription to Audible. 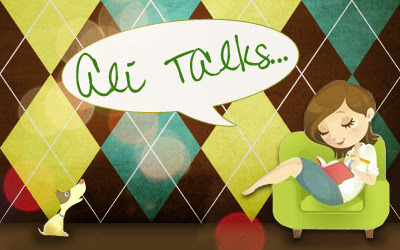 I love Audible and it's a great place to get audio books. (No this post isn't a paid promotion from them, I just love their site.) So let's talk about what's in my Audio book queue. I'm hoping making this post will help me be more accountable for my audio book buying. I have so many to listen to right now! So like I said my audio book queue is starting to get out of hand and I really need to start listening to more audio books. Below is a list of the books waiting for me to start. I'm thinking in the comments below, tell me a few audio books that are on your list and maybe what I should listen to next. Maybe if you're like me I can help you choose as well. Red Rising by Pierce Brown - I just got this one this past month. It's a book that I've been wanting to read and just haven't had the chance to. The Dream Thieves by Maggie Stiefvater - I loved the first book in this series and bought this one right away, but haven't had the chance to get back to the series. This year I would like to finish the whole series. American Drifter by Heather Graham and Chad Michael Murray - Yep that's the guy from One Tree Hill! OMG I was told this book was amazing and went right away to get it from Audible. It's also narrated by him! The Bone Season by Samantha Shannon - This is another book that's been sitting on my bookshelf and audio shelf for awhile! I think it's the size of the book that's a bit daunting to me. A Shadow Bright and Burning by Jessica Cluess - A friend told me about this one and I just haven't had the chance to start it. The Book Jumper by Mechthild Glaser - Now this is a book that I would love to start right now and might. It's been on my list since it first came out and I was super excited about the plot. Heartless by Marissa Meyer - Another book that's been on here since it came out. Seems to be a reoccurring thing lol. Genuine Fraud by E. Lockhart - I loved We Were Liars by this author and had to have this one as well. Just haven't started listening to it yet. Strange the Dreamer by Laini Taylor - This is another one that I heard of from a friend. Landline by Rainbow Rowell - I have no excuse for why I haven't listened to this one yet. I love this author and she's seriously one of my always buy authors. Ruins by Dan Wells - This is another series that I want to finish this year. I loved the first two books and can't wait to start this one. The Last Magician by Lisa Maxwell - This is a book that I wanted so badly to listen to and got it, but never got to it. When It's Real by Erin Watt - This is another author that I buy every time she has a new book. This is actually two authors I just found this out this year. But their writing style is fantastic and I had to have this one. The Forgetting by Sharon Cameron - This is an actual book that's been on my shelf for awhile, so I thought maybe getting the audio would help, it hasn't so far! The Sea of Monsters by Rick Riordan - This is another series that I've been wanting to finish and planned on doing so last year, it just didn't happen. Trickery by Jane Washington - This was a book that I heard about from Booktube and got it but never thought about it again. Which is really sad because it sounds really good. Royally Screwed by Emma Chase - This is an adult book that I really want to get to this year, seeing as one of my goals is to read more adult. SEAL's Promise by Sharon Hamilton - This is a audiobook that I got for review and I really need to start this one soon. A Gathering of Shadows by V.E. Schwab - Now I have the other two books in this series in hardback. I bought them at her book signing last year and they didn't have this one in stock. I had planned to marathon them so I went ahead and got the audio. I really need to get to this series. Everyone keeps telling me how amazing it really is. Geekerella by Ashley Poston - Now with this book, I tried to actually read it on Ebook and just didn't get into it. SO I thought I'd try it in audio, but haven't done so yet. The Chemist by Stephenie Meyer - Again this is a an author that I will always buy their books. This is an adult book and I figured I would love it as well. I haven't listened to it mainly because I was told I wasn't really going to like it. Though I still want to give it a shot. Everything, Everything by Nicola Yoon - Now this is a book that I want to get to right now. I just watched the movie, (yep I watched the movie before reading the book) but I loved the movie! Hopefully the book is even better. Carve the Mark by Veronica Roth - As you all know there was some controversy surrounding this book. I was gifted this one and still need to listen to it. Ever the Hunted by Erin Summerill - Another book I was excited to listen to but haven't gotten the chance. City of Ashes by Cassandra Clare - I know don't shoot me! I finished the first on audio and wanted to continue but haven't had the chance. Silence by Becca Fitzpatrick - Now this series is one that I love! I was missing this copy, but now I have it, just can't decide which way I'm going to read it. Three Dark Crowns by Kendar Blake - This book was so hyped that I got it but didn't want to get effected by the hype. So I didn't listen right away. The Crowns Game by Evelyn Skye - This goes for this book as well, it was so hyped that I didn't want to be effected by it. I hate when that happens. Outlander by Diana Gabaldon - Okay I confess the reason I haven't listened to this one is because of it's sheer size. I really want to get over that this year and either listen or read this one. I love the show so much. Never Fade by Alexandra Bracken - Another series I want to finish this year. Covet by J.R. Ward - This is another author that I automatically buy her books. This is the start of a different series and I really want to read this one. Black Dagger Brotherhood 7-10 by J. R. Ward - Yep again automatically buy and I love love love this series. I stopped because I needed a little break from the series, but I want to pick it back up again like now! Legend by Marie Lu - Now I have this book in print also, but can't decide if I want to listen or read. The Essence by Kimberly Derting - Another series I want to finish this year. The Pledge was one of my favorite books and I want to dive back into the series so badly. The Coldest Girl In Coldtown by Holly Black - Another book that's been sitting there and I have it in print as well. Enchanted by Alethea Kontis - Another book I have in print and audio. Unraveling by Elizabeth Norris - I so wanted to read this book when it came out, but the hype was just too big. Scarlet by Marissa Meyer - Alright don't murder me for this one, but I didn't like Cinder that much and was told this one was so much better. I'm just not sure about this one. I also have it in print. Paranormalcy by Kiersten White - I love this authors writing and it's another series that I want to get to this year. Daughter of Smoke and Bone by Laini Taylor - I have tried a few times to read this and wanted to try audio, hoping it will help. I have no idea where to start on this list. Is there any of your favorites on here? If so tell me which ones. Also I think I'm going to go on a audiobook buying ban until I at least finish half of these! What do you all think? Think I might update this post as I go along as well, mark them off as I finish them.